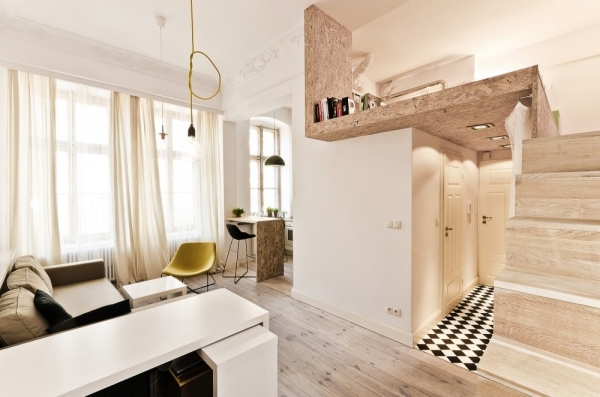 This wonderful small apartment by 3XA architects in Poland is full of inspiring ideas. 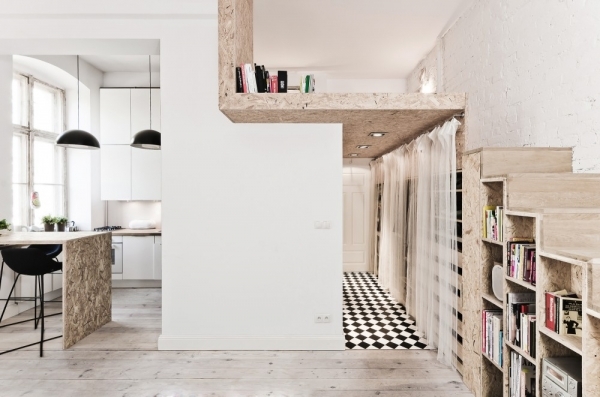 The open plan is only 29 square meters, with a ceiling height of 3.7 meters. 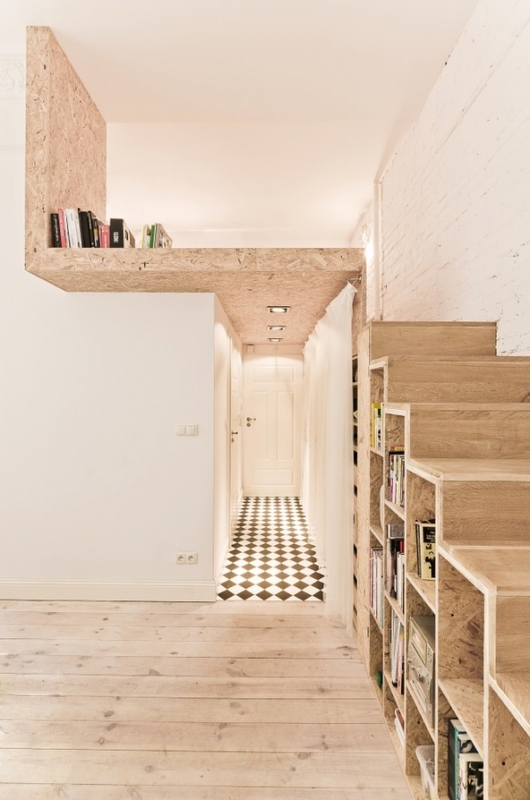 The architects designed a mezzanine level to create a delightful sleeping area. The cohesive design is bright and airy with wonderful blacks and whites, beautiful hardwoods, and OSB. 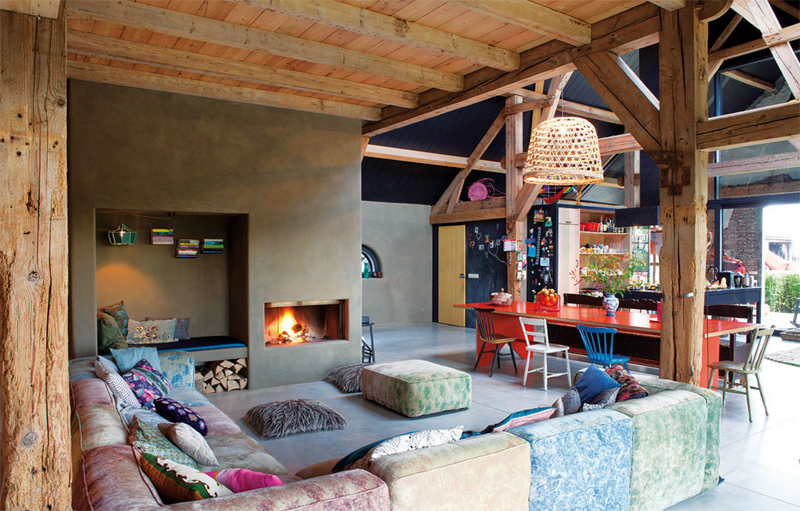 The OSB adds a wonderful texture to the home, creating an amazing amount of interest. 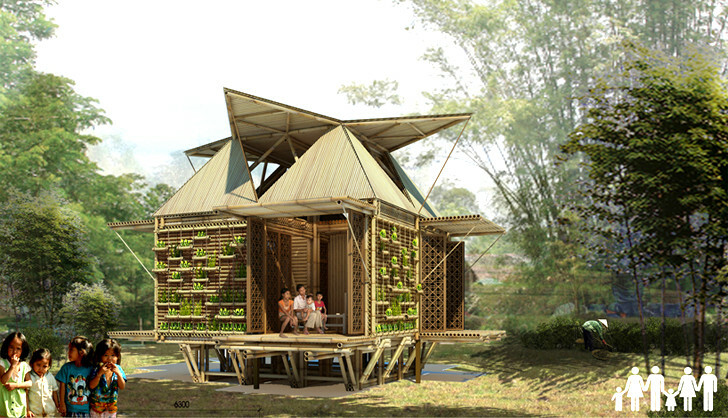 In our opinion, this was a brilliant choice because it elevates the design without taking up extra space. The kitchen and eating area are fantastically modern. Sleek white cabinets fill the back wall, and a small table provides an eating area. This table is magnificent, it adds beauty to the design and takes up a minimal amount of space. A fabulous black bar chair sits on each side of the table, fashioning a cozy little eat-in kitchen. Light and luxurious curtains cover the windows, providing privacy without affecting the open atmosphere. The sofa sits perfectly in this slim horizontal living area. The small white cube is the perfect touch, once again, maximizing the space. The yellow chair is lovely, adding a little bit of color to the design. 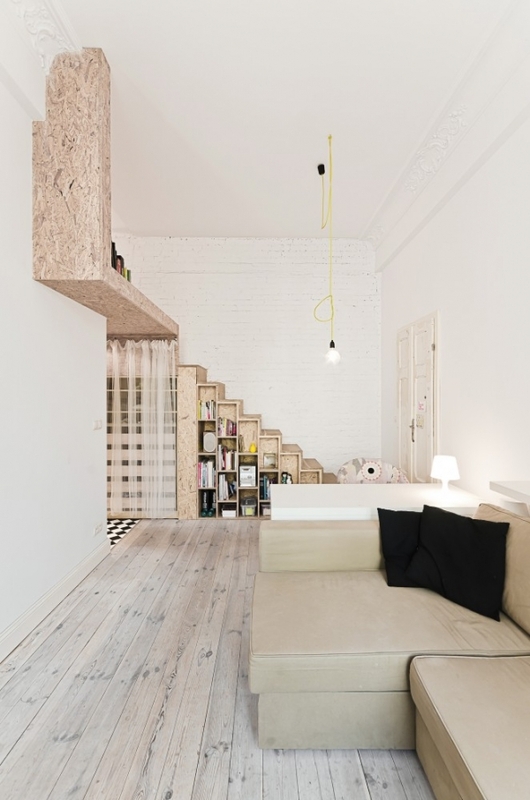 We love that the staircase is also a bookshelf, it is one of our favorite small apartment ideas. The lighting used in this design doesn’t create any unnecessary bulk. It is simple and beautiful. The hallway height is just 1.85 meters high. Storage space lines the wall, providing a wonderful place for clothing, shoes, and other knickknacks and doodads. 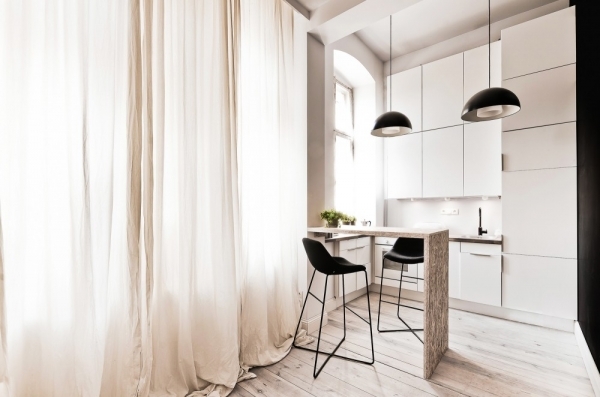 The black and white floors are absolutely adorable, adding a little variety to the décor. 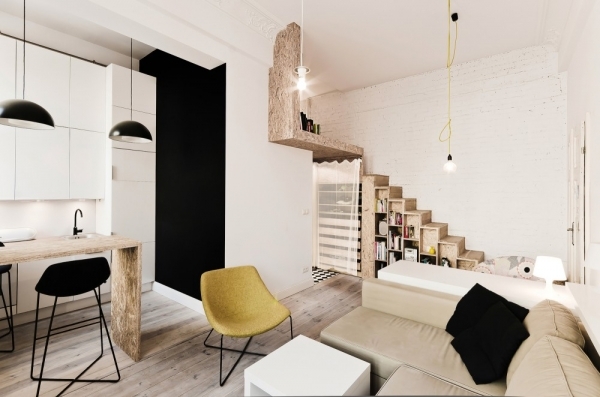 The mezzanine level, the OSB, the smart storage solutions, and the perfectly sized design choices, are all fabulous small apartment ideas, fashioning a stylish and open home.